If you're craving a burrito but can't be bothered to leave the house, Chipotle has you covered. 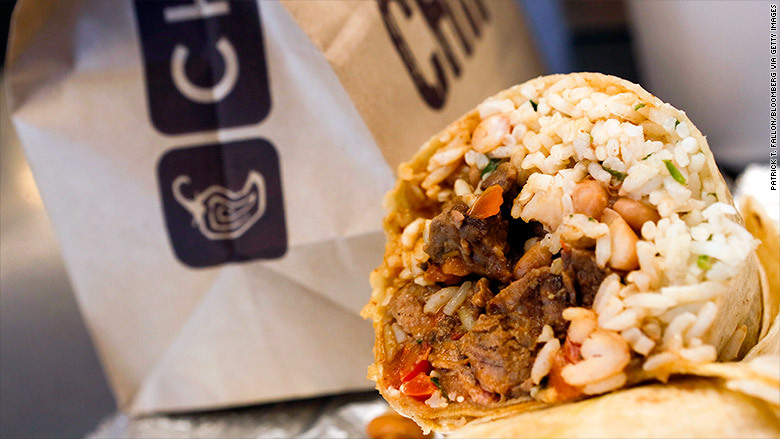 Chipotle (CMG) executive Mark Crumpacker said this week that the company had partnered with PostMates in March and is currently delivering burritos and more in all the markets where it operates. While it's still early, Crumpacker told investment analysts in a conference call that Chipotle has seen a 30% increase in online delivery orders in April from March. "So there's a tremendous amount of potential for individual orders but it's a little bit too early for us to predict what long-term impact that will have," said Crumpacker. PostMates has also been hot lately. It recently signed a deal with Starbucks (SBUX) to test delivery of coffee to homes and offices in Seattle and on a small scale in New York City. The delivery service usually charges a fee based on how far the destination is from the point of origin. But the delivery fees for Chipotle deliveries will be capped at $7.99, according to PostMates.